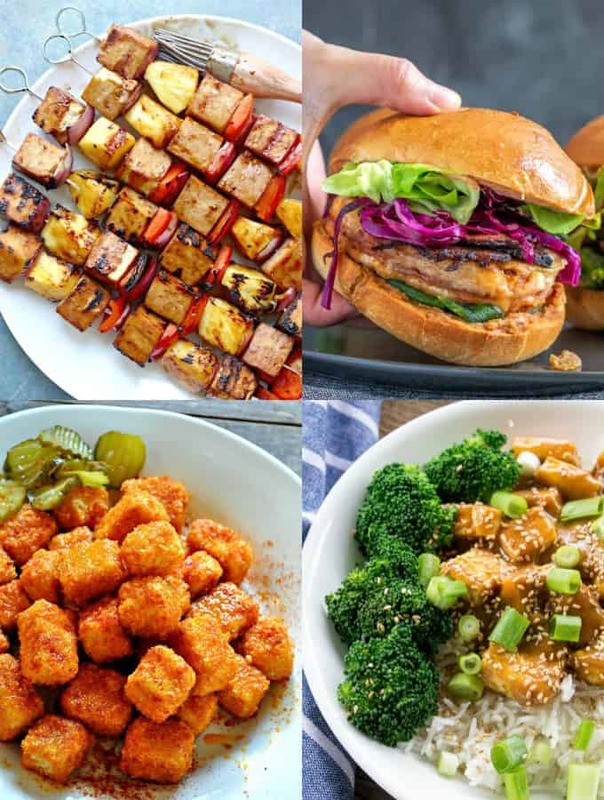 These 20 tofu recipes will definitely change the way you look at tofu! Tofu doesn’t have to be boring and plain. In fact, it’s super delicious, extremely versatile, and packed with protein! 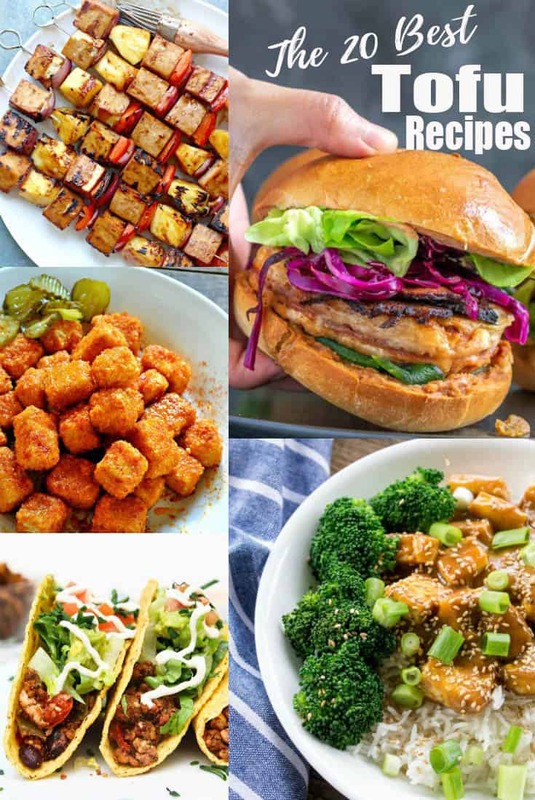 These 20 vegan tofu recipes are the perfect proof! I’m sure you’ve heard someone saying that tofu is super plain and has a weird texture. Or maybe you even think so yourself? I’ve been there! When I became vegetarian, I didn’t like tofu at all! In fact, I hated its texture and taste. However, over the years I learned how to prepare it the right way and I now absolutely LOVE it! It’s such a healthy and versatile product and often plays an important part in vegan cooking! a real super star in the vegan kitchen! I have some delicious vegan tofu recipes on the blog myself. But to provide you with even more recipes with tofu, I teamed up with some fellow food bloggers. 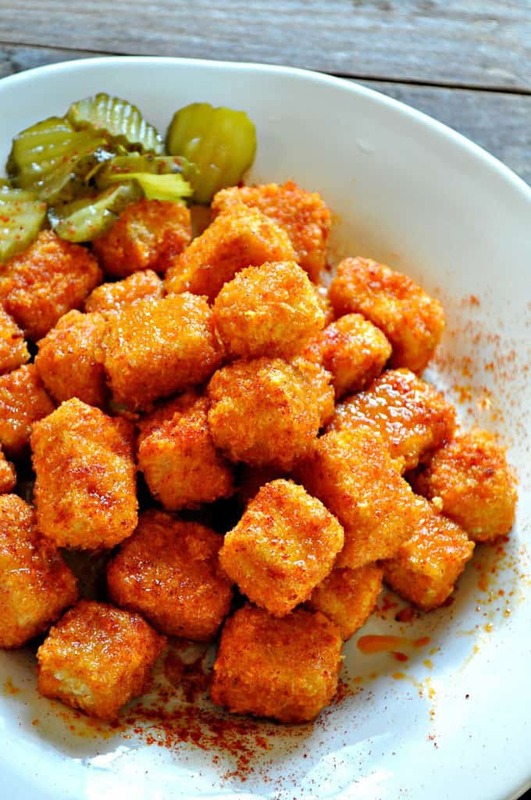 With these 20 tofu recipes you will never think again that tofu is boring!! 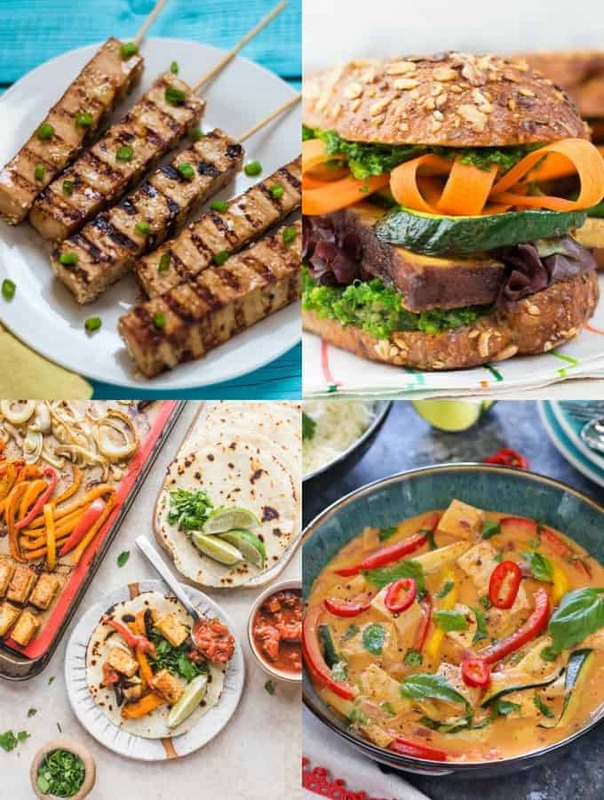 and lots of other simple tofu recipes! So let’s get started with all the yumminess!! 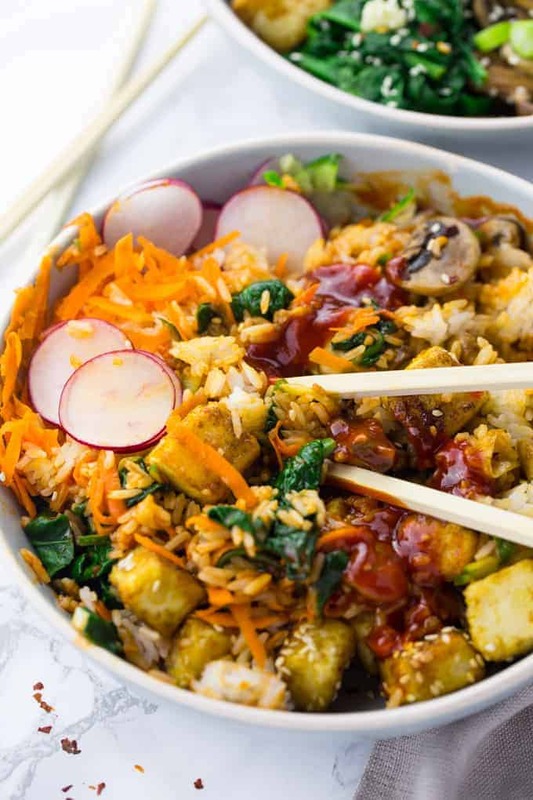 Crispy tofu cubes with sesame seeds on top are the superstar in this vegan bibimbap. The whole dish comes together pretty quickly and you can prepare most of the ingredients in advance. It’s a Korean classic that is packed with flavor and color – all in one bowl! These vegan Nashville hot tofu nuggets by Lauren from Rabbit and Wolves are the perfect comfort food! They’re kind of like a vegan take on deep fried Nashville hot chicken! But the best part is that Lauren’s tofu nuggets are super crispy and crunch all without frying! The sauce is a little sweet and very spice. BIG yum!! 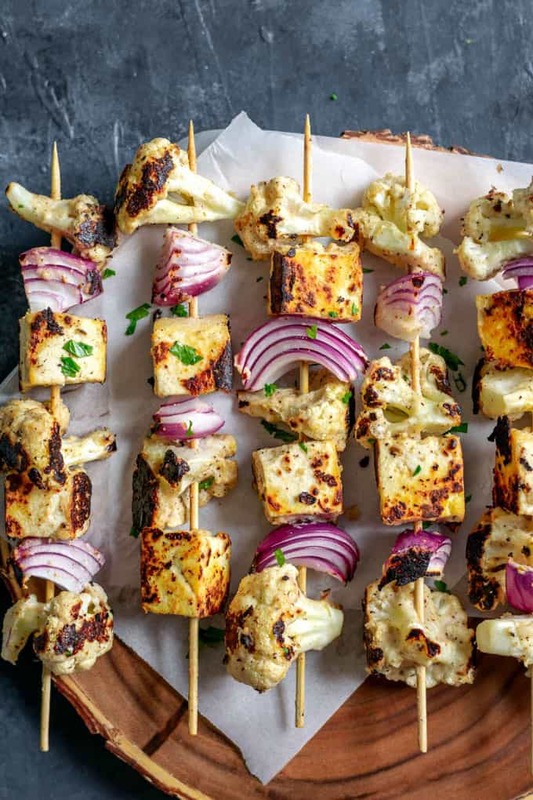 These smokey cauliflower and tofu tikka kebab skewers by Eva from The Curious Chickpea are perfect for summertime barbecues! Before Eva grilled the skewers, she marinated the cauliflower and the tofu in a vegan spiced yogurt sauce. They’re great on a bed of rice or you could also serve them in wraps with some extra vegan yogurt sauce. You definitely won’t miss the meat in this spicy vegan tofu chili with cashew sour cream! 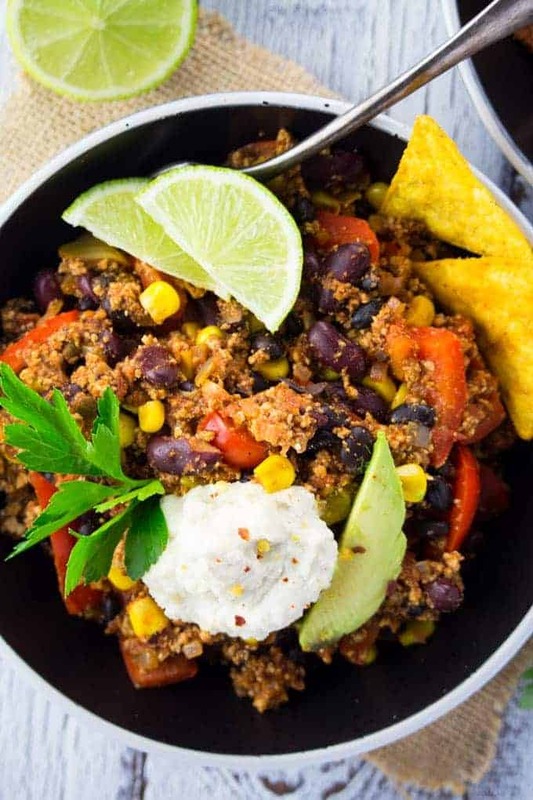 It’s super easy to make and packed with protein! It has been one of my favorite vegan weeknight meals for a long time. Top it off with some homemade cashew sour cream, avocado, and tortilla chips. 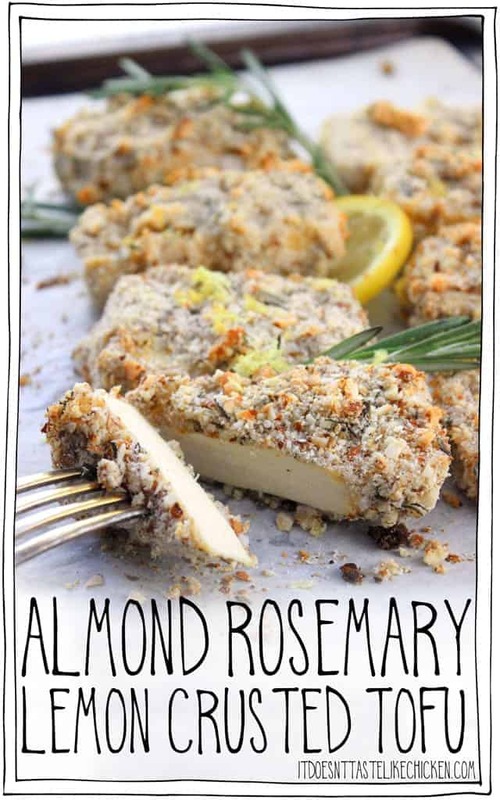 Doesn’t this almond rosemary lemon crusted tofu by Sam from It Doesn’t Taste Like Chicken look absolutely delicious? It’s super crispy and crunchy and makes a great meal. Maybe in combination with a side of greens and potatoes or on top of a salad. All in all, this crusted tofu is ready in just under 40 minutes. 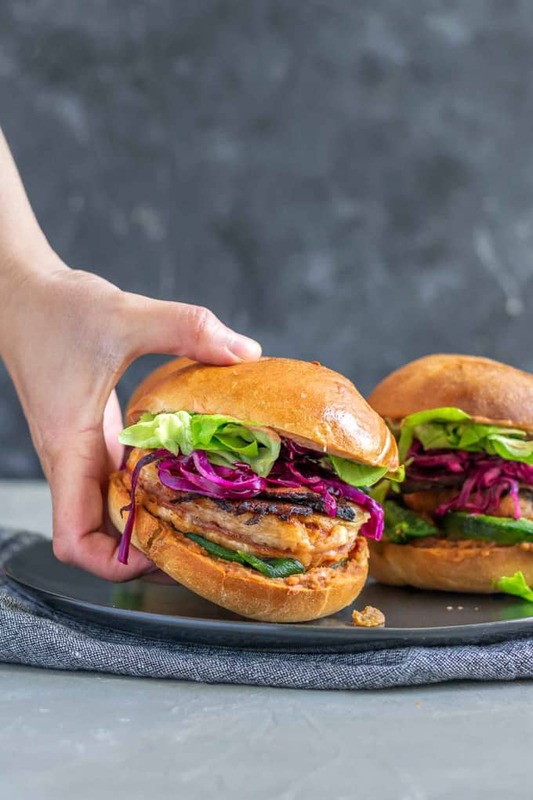 I wish I could just bite right into this vegan battered tofu Mexican sandwich by Eva from The Curious Chickpea! It’s filled with refried beans, vegan mayonnaise, seitan bacon, roasted poblanos, and cabbage slaw. And the main part is a vegan battered tofu steak! This is what I call an AWESOME vegan sandwich! 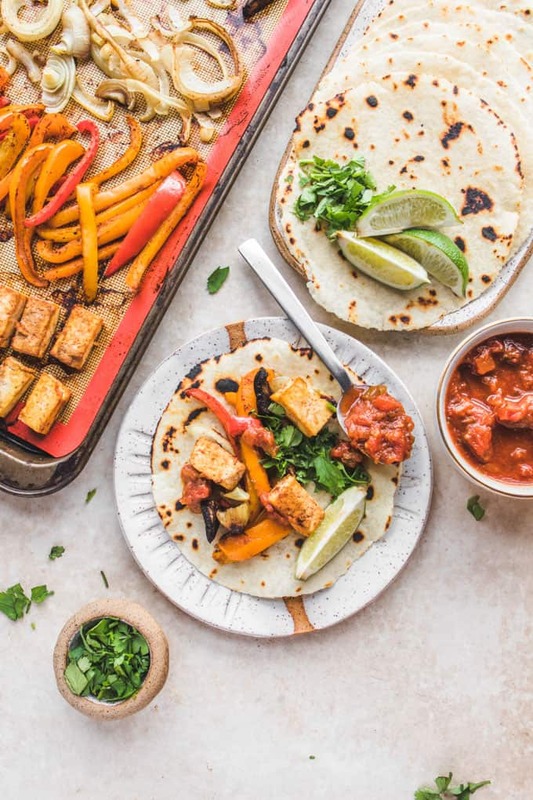 This recipe for vegan sheet pan fajitas with chipotle lime tofu by Caitlin from From My Bowl couldn’t be easier! All you need for the preparation is your oven and a sheet pan! It makes a perfect weeknight dinner for busy days. Such a great and easy way to use tofu! 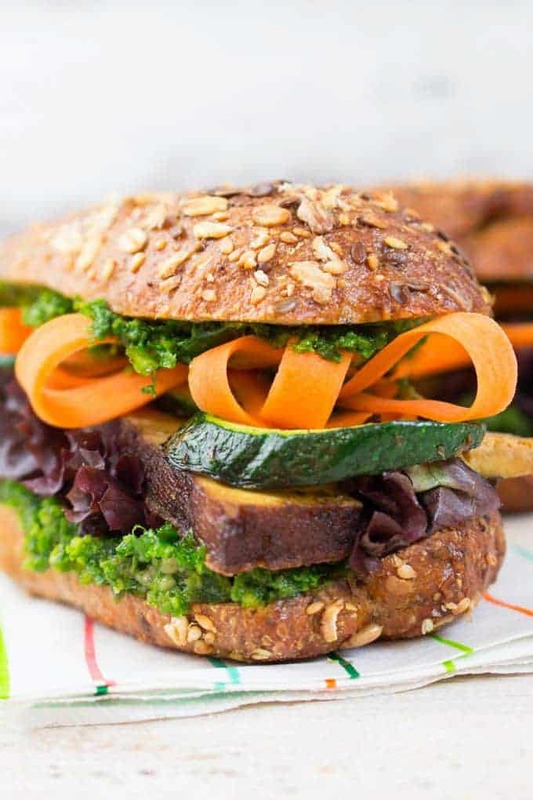 This vegan tofu and kale pesto sandwich with carrots, grilled zucchini, and lettuce is perfect for a quick and healthy lunch! Maybe the best vegan sandwich I had in a long time. And it’s packed with protein and vitamins! 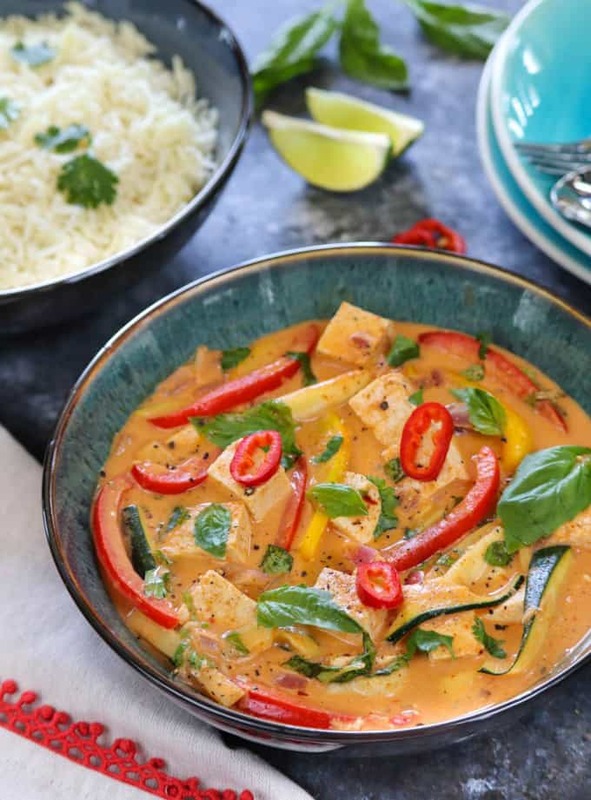 This vegan Thai curry with tofu and mixed vegetables by Ruchi from Ruchi’s Kitchen makes a great weeknight dinner. All in all, it comes together in less than 30 minutes and is packed with flavor. Furthermore, it’s very easy to customize to your personal liking. For a healthier version serve it with brown rice. 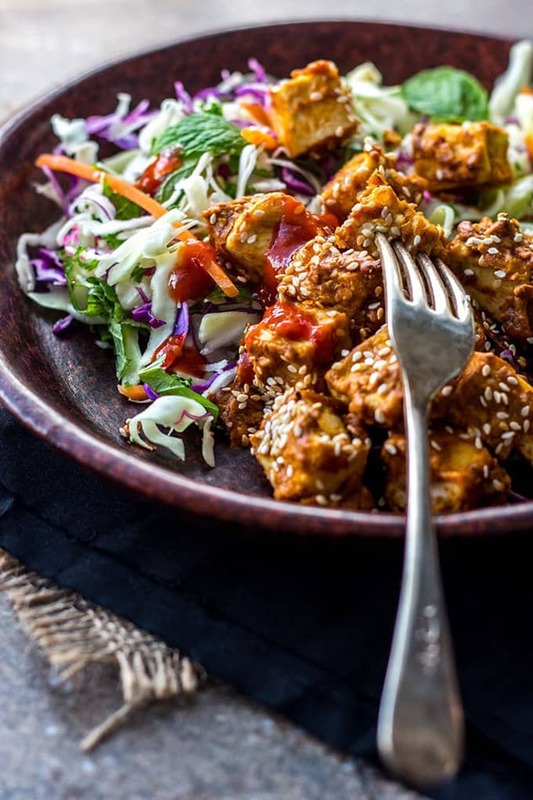 These sweet and salty tofu bowls by Cindy from Vegetarian Mamma are such a great way to use tofu. They are very easy to make and, thus, make a great weeknight dinner. Besides, they have the perfect balance between sweet and salty! And for an extra boost of vitamins you could add some broccoli. These baked spicy peanut butter tofu cubes by Amber from Quite Good Food are the perfect protein bomb! You can add them to salads or warm meals. For her blog post, Amber served them with pre-shredded slaw, mint leaves, and more sesame seeds. For an extra kick of flavor, drizzle some hot sauce on top. Yes, you can also make sweet recipes with tofu. 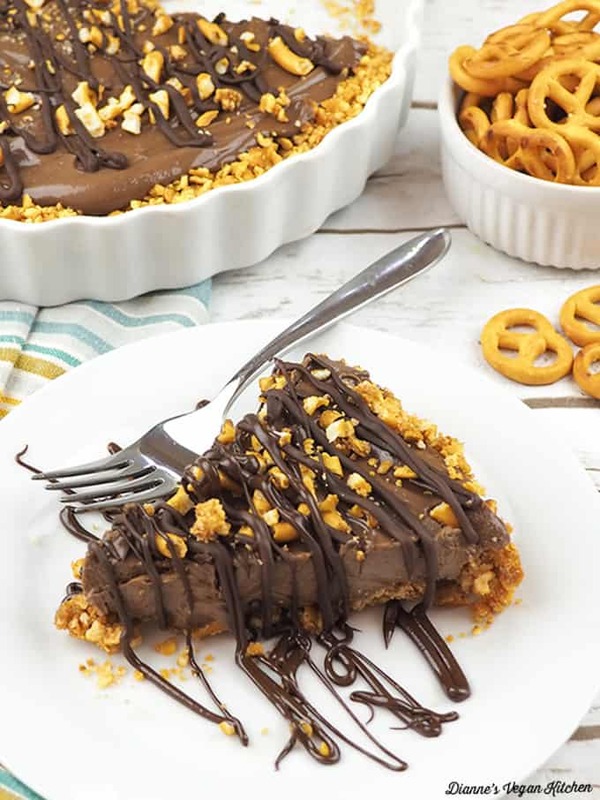 This vegan sunbutter chocolate pretzel pie by Dianne from Dianne’s Vegan Kitchen is the perfect proof! You need only six ingredients for this pie: silken tofu, chocolate chips, maple syrup, sun butter, and crushed pretzels. Sounds pretty easy, right? 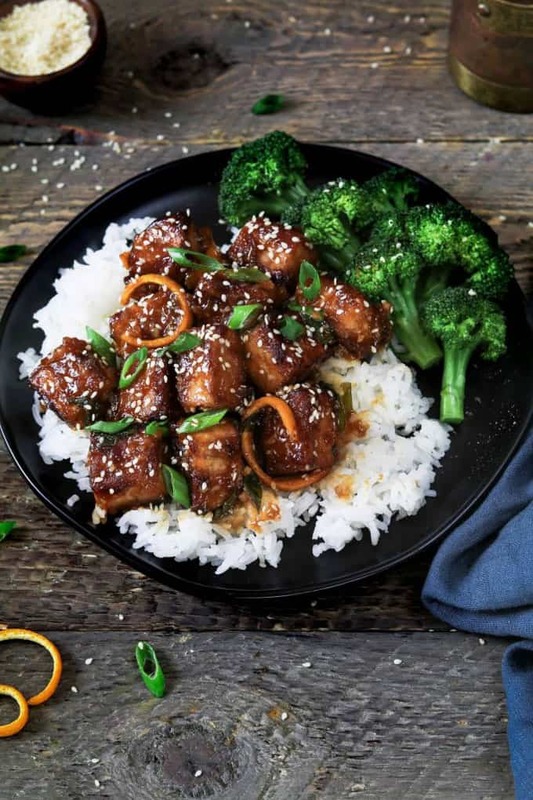 This general tsos tofu by Melissa from Vegan Huggs is such a sticky sweet goodness! The recipe is originally from Chloe Coscarelli’s cookbook Chloe Flavor, which Melissa reviewed on her blog. 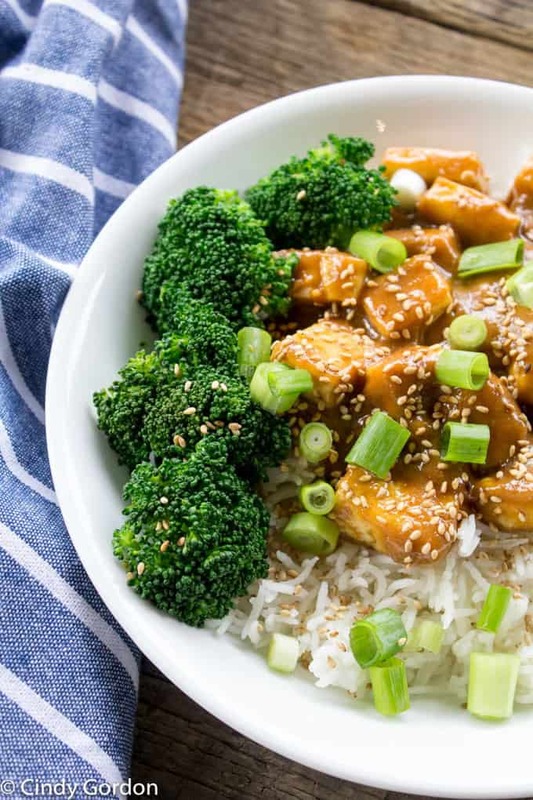 Instead of chicken, Chloe used tofu for this delicious Chinese American classic! For more spiciness add some extra sriracha. 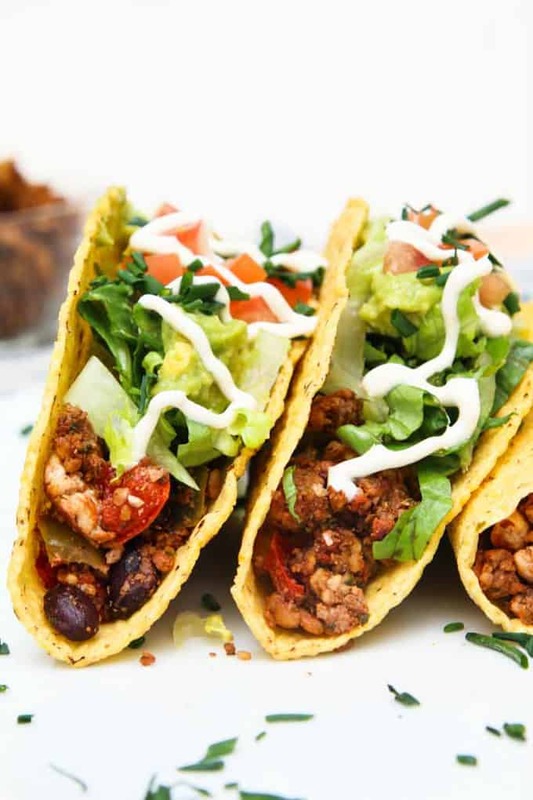 Don’t these vegan loaded black bean tofu tacos by Anjali from Vegetarian Gastronomy look delicious? They make such a great weeknight meal. And the best part is that they’re super delicious while being pretty healthy and protein-packed at the same time. Anjali served these tofu tacos with walnut crumble lettuce, avocado, and vegan sour cream. 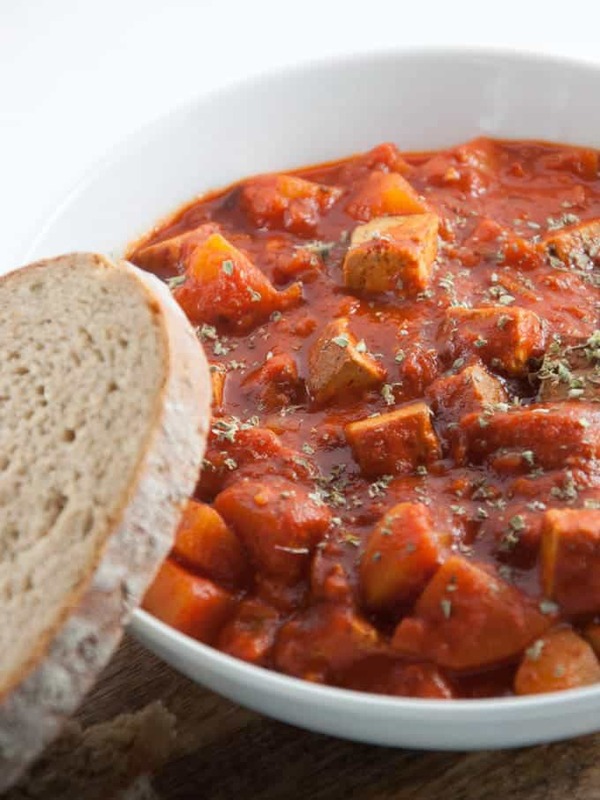 This vegan goulash with smoked tofu by Bianca from Elephantastic Vegan is a great recipe for fall and winter. It’s very comforting and requires only very few ingredients. And it’s also pretty budget-friendly! Plus, it practically cooks by itself and you only have 5 minutes of actual preparation time! Here’s another great vegan dessert recipe with tofu! 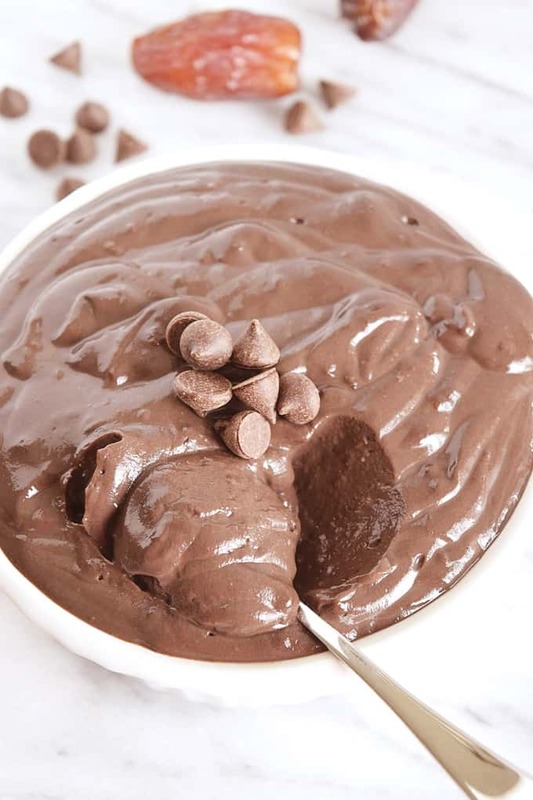 If you haven’t tried vegan chocolate pudding or mousse au chocolat with silken tofu yet, you should really give it a try! 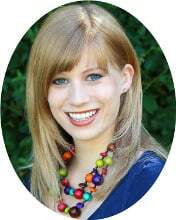 Sara from Beaming Banana has a great recipe on her blog! 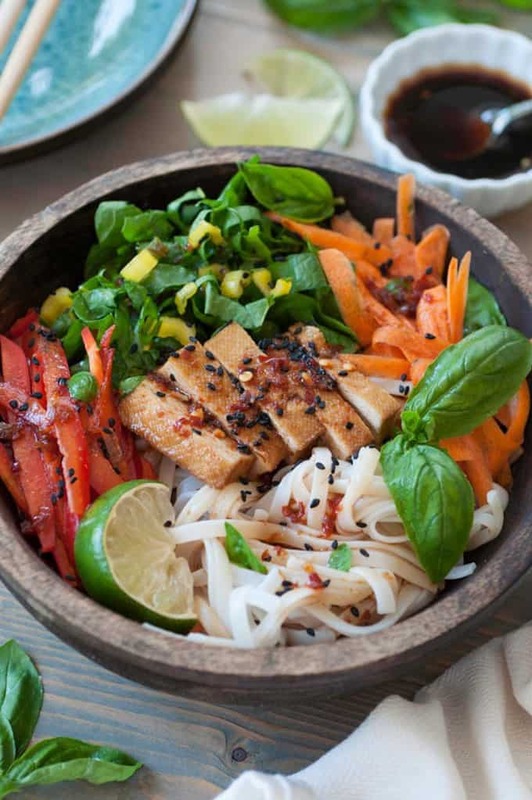 If you’re looking for a fresh summer recipe, this cold noodle salad with smoked tofu and sesame dressing by Linda from Veganosity is perfect for you! It’s packed with healthy protein and vitamins. I mean just look at all those different colors! It definitely won’t put you down. And it’s also pretty easy to make! 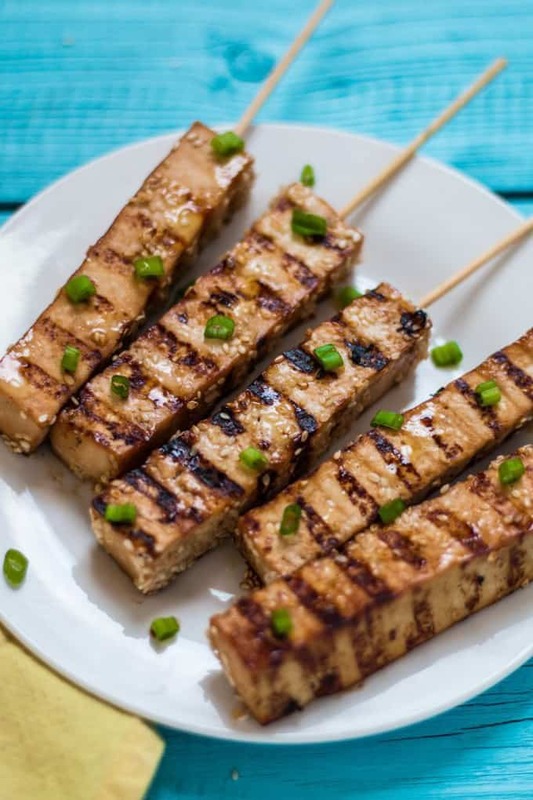 These teriyaki tofu skewers by Steven from The Nut-Free Vegan make such a great finger food! Or serve them as a tasty protein in combination with a salad, vegetables, or over rice. Are you looking for a vegan barbecue recipe? 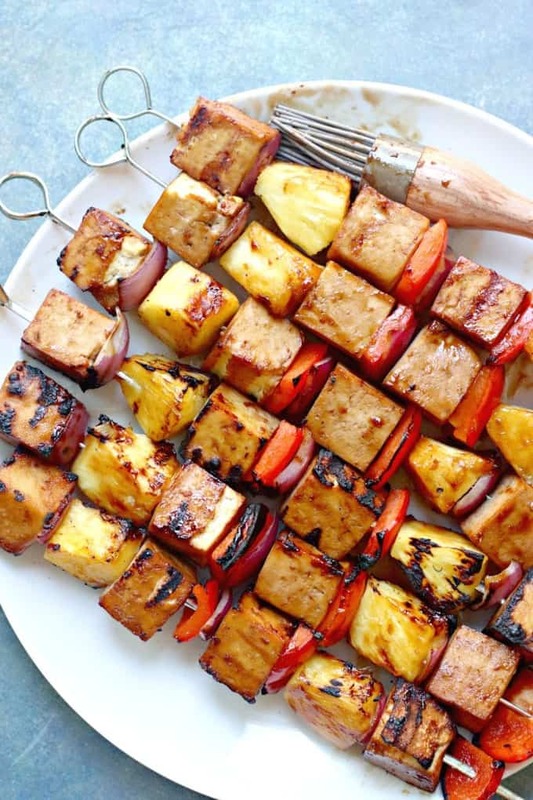 Then these teriyaki grilled tofu kabobs with pineapple and red bell pepper are perfect for you! Amy from Veggies Save The Day did such a great job creating these! They’re super easy to make and very delicious. And the recipe is vegan, gluten-free, and oil-free. 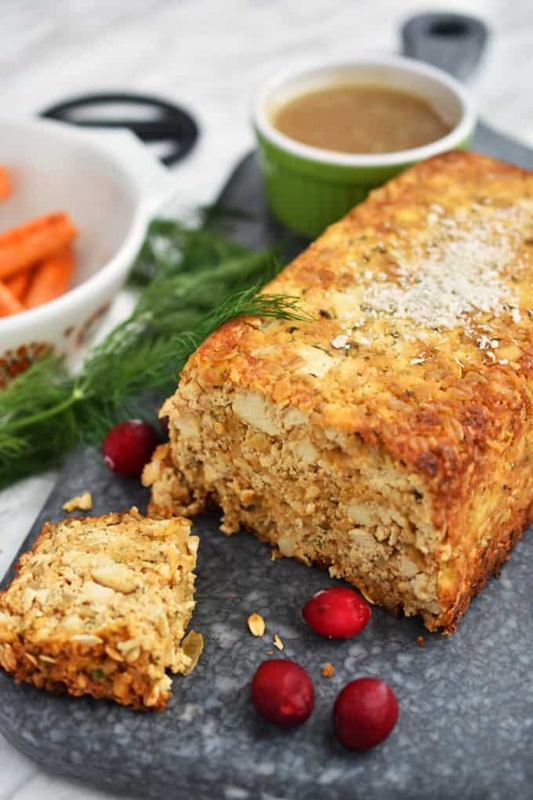 This tofu loaf by Joann from Woman In Real Life sure is a creative way to use tofu. It makes such a delicious and festive entree for the holidays. Who thought that tofu could be this festive? I hope you like these vegan tofu recipes. There are so many different ways to use tofu! What’s your favorite tofu recipe? Thank you for including my recipe! sharing!